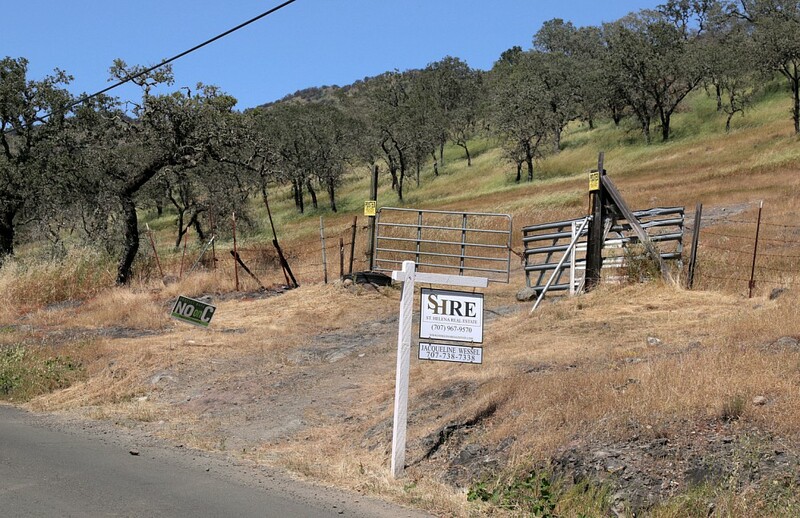 "41 acres of rare, unspoiled Napa Valley just waiting to be developed." The view of the property from the road. Is that the realtor's No-on-C sign? The intention of Measure C was to prevent the conversion of wooded hillsides, like this one, from being clear cut for vines. 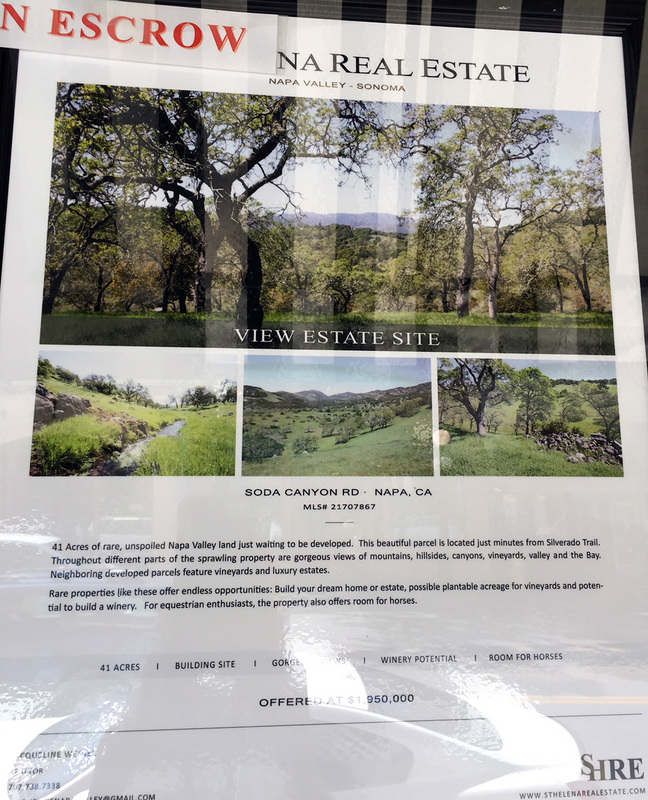 Now, with its defeat, the fate of Napa’s woodlands remains in the hands of developers.